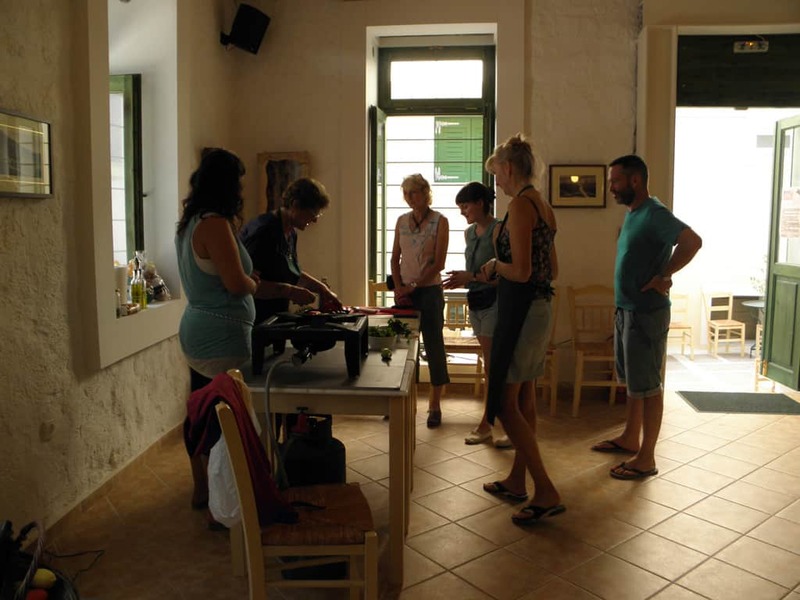 Whether a sophisticated foodie or just a cooking enthusiast, this Andros culinary detour is certainly yours to discover! 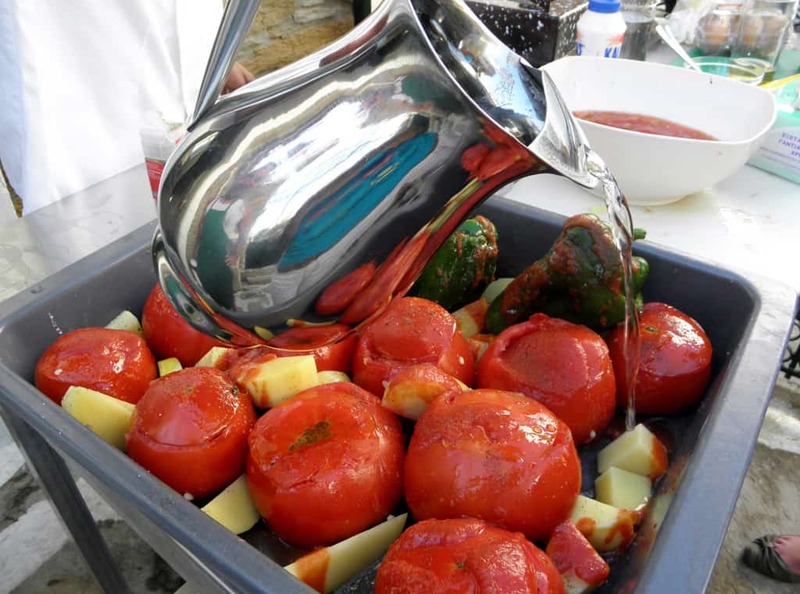 Gastronomy in Andros is characterized by the main elements of Greek and Cycladic cuisine. 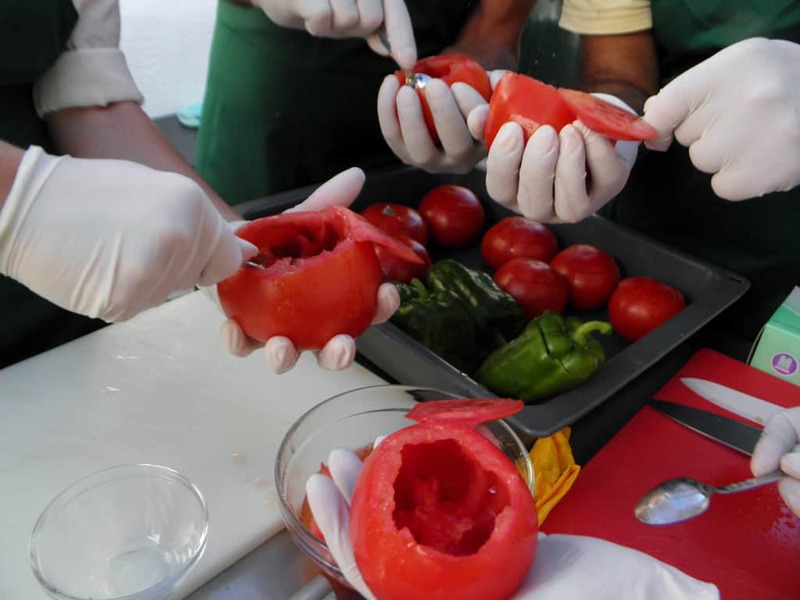 Natural products, fresh fruits and vegetables, local cheeses, traditional recipes and delicious desserts will be included in all of your meals during your holidays in this beautiful, yet unknown Greek island. 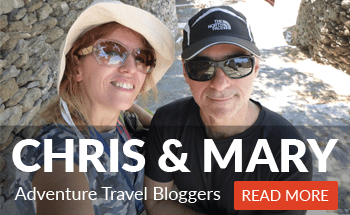 Even though it’s an island, Andros is more famous for its fresh meat rather than for fish. 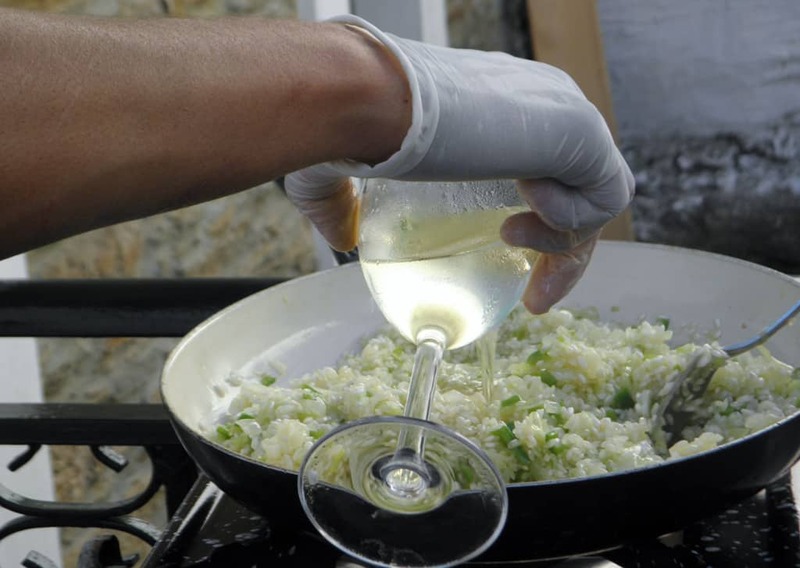 Oil, citrus, fruits meat and dairy products as amexia, chloro, petroti, volaki and kopanisti cheese, pork derivatives as lardia the famous sausage, louza or syglina and sissira, greens as capers and kritama which you can find by the sea, is the local produce of Andros. Judging by the number of patisseries on the island, the locals really enjoy having desserts! 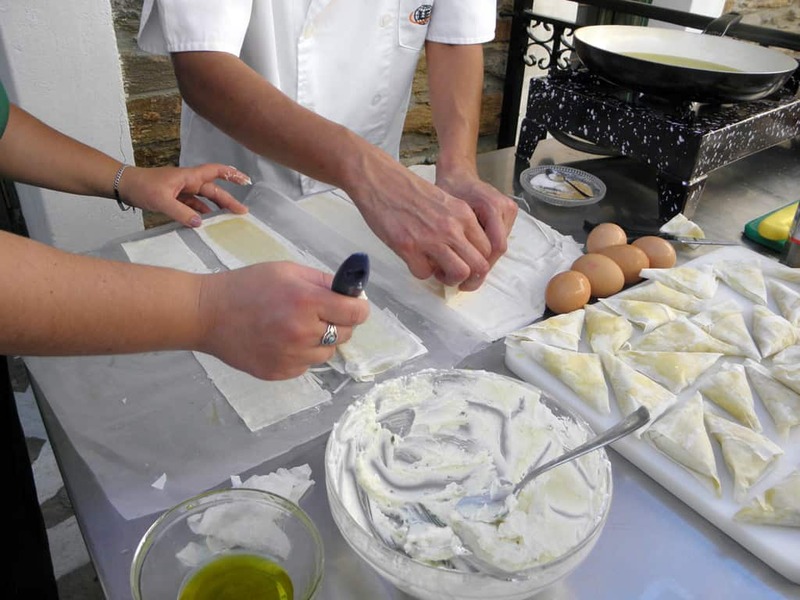 Andros’ authentic dessert is almond paste, “amigdalota” , “kaltsounia”, “pastel” with sesame or walnuts, pasterlaries (dried figs with ground walnuts, and sesame) and of course “spoon sweets” made with lemon flowers, babiloni, bergamot and walnut. Local delicacies are not to be missed either. 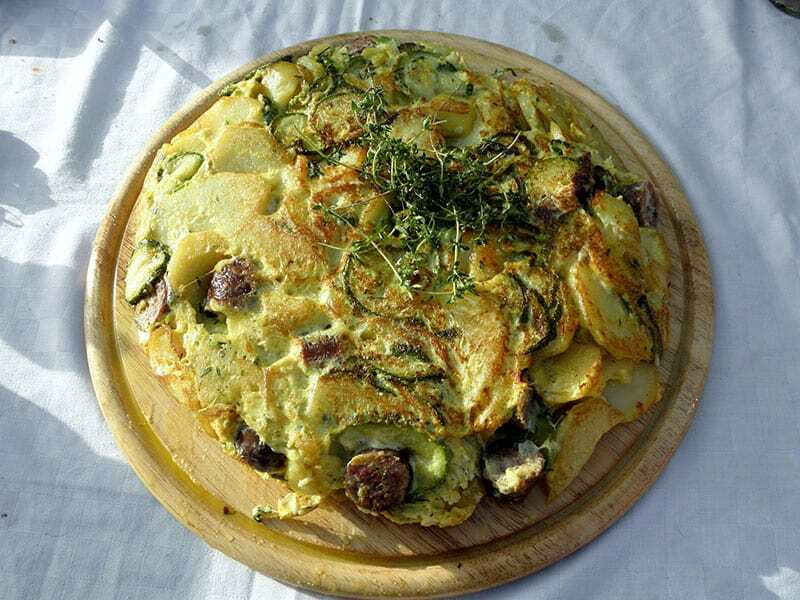 A dish for the brave is ‘fourtalia’, an omelet with potatoes, pork and sausages cooked in a type of animal fat called ‘glina’ instead of oil, with numerous variations. 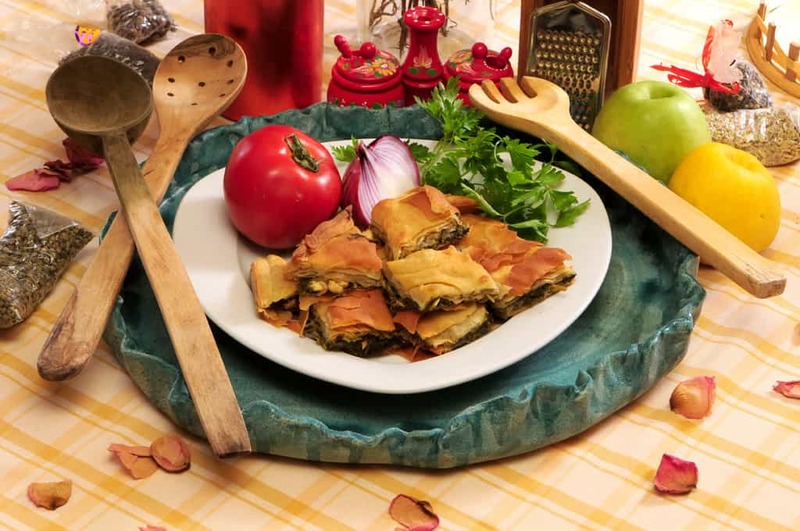 Specific celebration foods give a festive tone to all festive days of the year, at Easter in Andros, locals cook in traditional wood ovens “lampriati”, lamb stuffed with cheese, eggs, herbs, dill and spearmint. 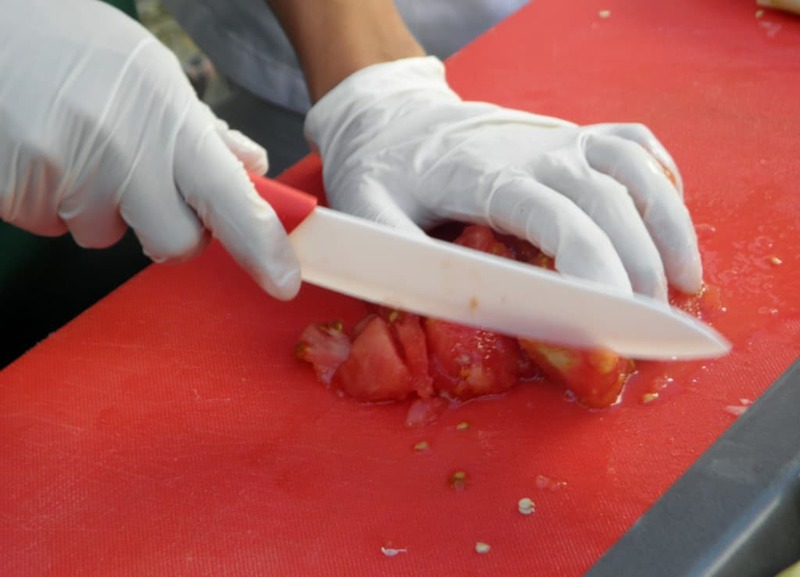 The essence of this journey is the route from the nature to the table!!! 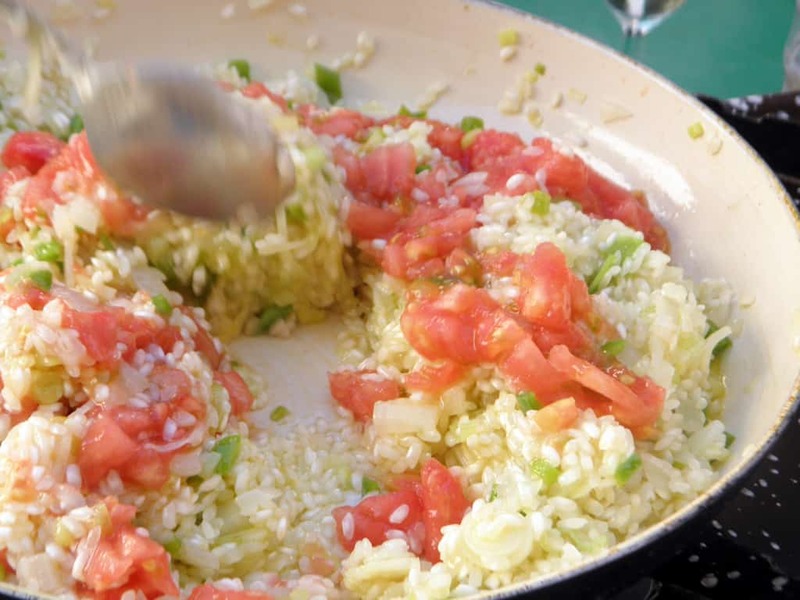 Based on the goods provided by this fertile land, we cook together those recipes which determined what we all know as the Mediterranean Diet! Let’s enjoy a journey, based on the health and pleasure of taste! 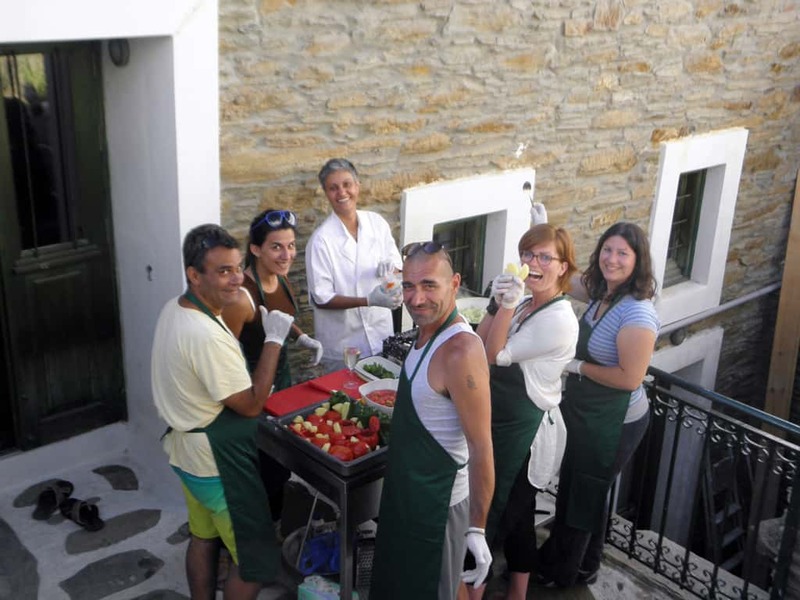 — This Andros culinary article provided by Trekking Andros. Contact the organizers at: +302282061368, +306937236362 or through their contact data below.